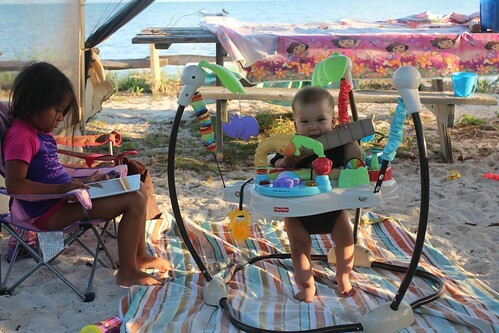 Mali Mish - Day 139: R-e-l-a-x-i-n-g.
Today is our fourth full day at Long Key State Park and I finally feel like I am on island time. We have our routine down. 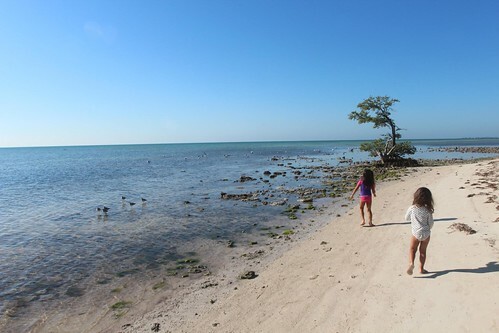 Morning walks along the water, looking for treasures. 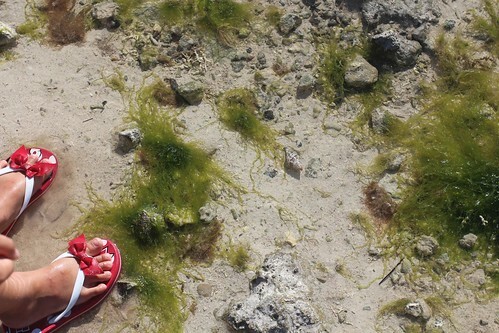 Ava was super excited that the tide was super low during morning walk. 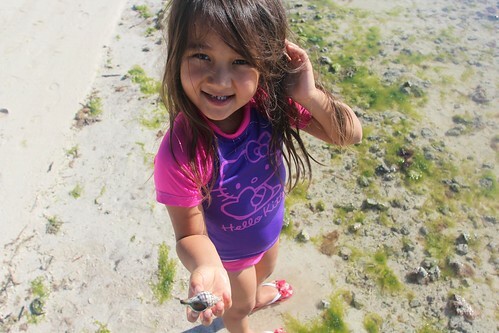 She likes to walk through the tide pools, looking for little sea creatures. And she loves that she can see exactly what she is stepping on. No surprises here… I hope. 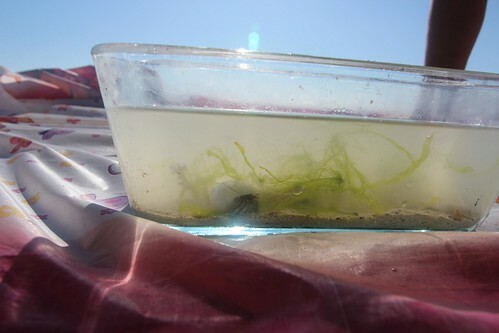 We found a couple hermit crabs and threw them into our bucket. This is actually our second attempt this morning for collecting crabs. The first batch started to try to crawl out of our bucket. When Ava noticed, she shrieked and threw the bucket back in the ocean. Haha. For homeschool today, we built a little aquarium for our new friends. We learned about what they eat, their habits, etc. After a few minutes of staring at them, we got a little sad that they were away from their real home and put them back into the Atlantic Ocean. Stop shaking your heads people. Crabs have feelings, too! 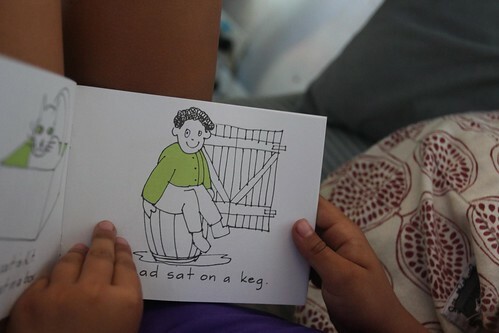 And then she turned the next page and of course found the natural progression of what happens when you sit on a keg. 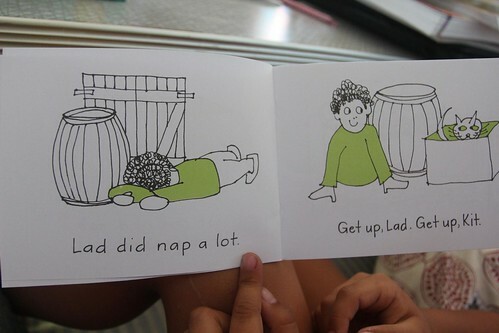 Lad did nap a lot. Lol. I love his face on the next page. Who writes this stuff?!?! 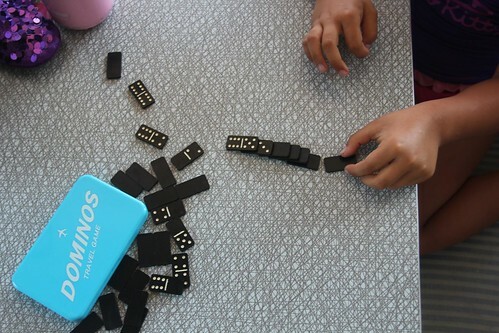 Since we were “learning” about college today, I thought we would continue with a game of dominoes like Mama used to play back in the days of UC Santa Barbara. The edited version of course. No foul language allowed in the Airstream. 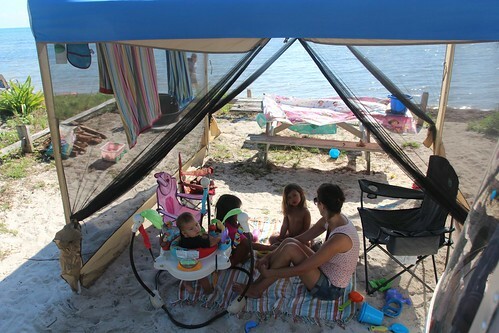 It’s tough to have all three kids on the same page at the same moment but it actually happened this afternoon. No one was whining. No one was being naughty. No one needed their bottoms wiped. We were all there in the moment, chatting about this and that. Dan rarely picks up the camera unless I ask him to. But he did at this moment and I am thankful for that. Bird identification continued today. (Duh.) 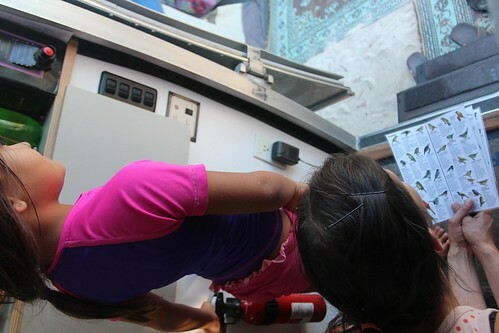 Ava enjoys figuring which birds we are ID’ing because it is like a matching game to her. She identified a female Northern Cardinal today like a good little bird nerd. And what is Luka up today? 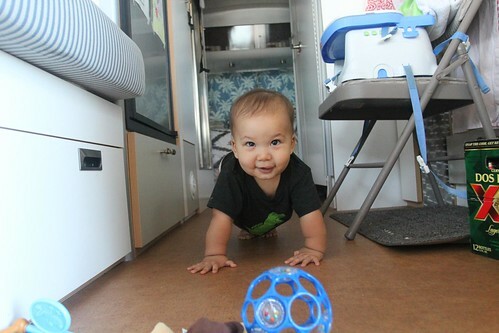 Not much… except for CRAWLING! He is so proud of himself. He has really started to move and pull himself up and even tried standing on his own too. I guess it makes sense because he is 8 months old already. I can’t believe he was 3 months old when we left California and now look at him. Sigh. Time does fly, even in the Mali Mish. The rest of the afternoon looked like this for Mila. 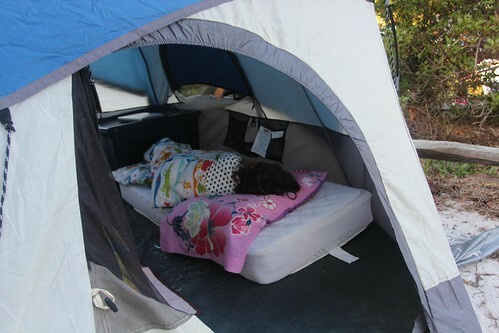 She requested a pillow and blanket for the mattress in the tent and took a 3 hour nap. I have one word for her. Lucky. When one kid is out for the count, it is interesting to see the dynamic between the two kids that are awake. Especially with our oldest and youngest. 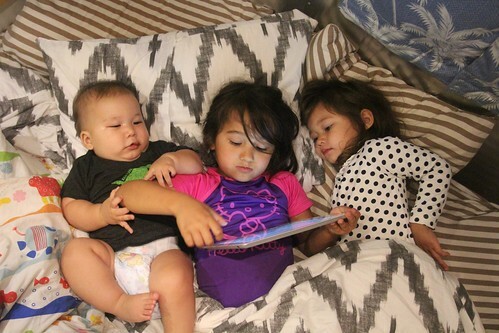 Ava is at the age where she really wants to be motherly with Luka. Pick him up, feed him, play with him. Well, everything except change a poopy diaper. I don’t blame her. Day 138: Visiting an island vet. Day 140: A walk through the tropical hammock.